In any industry of the modern era, the use of electronics is absolutely crucial and unavoidable. Whether you are operating a CNC shop, process plant, or assembly line, electronics devices and automation technologies are at work there. Automation is understandably the backbone of our industries. However, it comes with an additional responsibility of maintenance and inspection. This is something industrialists sometimes neglect and core electronic equipment goes unchecked for long periods of time, which can lead to serious problems and financial loss. In this blog, we focus on one basic electric device: the circuit breaker, and why do you need to keep it in tip-top condition. Circuit breakers are installed at nearly every point in your plant’s electric layout and offer protection against over-current incidents which can damage sensitive devices like motors, drivers etc. They work by cutting off power supply to the circuit they are connected against if a high amount of current is detected. Proper maintenance of circuit breakers is an essentially that everyone must understand. If your breaker is faulty due to poor maintenance, you can end up with a burden that is far more than that of performing maintenance. The replacement of damaged devices in addition to the possible shutdown of an industrial process is not something what we want. In our opinion, the best way to optimize breaker maintenance is to have a complete system in place. Discussed below are a few suggestions we have for people who wish to keep their breakers in proper running. Circuit breakers come in different types and ratings. Usually in industries, they are categorized by the voltage they are supposed to handle, short-circuit current capacity (AIC value), and the medium they utilize. You must know the sort of circuit breaker you are dealing with since each type has its own guidelines and precautions. This makes it much easier to narrow down your maintenance procedures and scheduling. Once you have the basic know-how about the kinds of equipment you are dealing with, you should get your hands on their instruction manuals. It is always good to have a product manual at hand when testing out your breaker since it carries detailed guidelines about what procedure you should follow in order to ensure comprehensive maintenance. A maintenance schedule is a must if you want your breakers to be ready for a current overload. Usually the manufacturer advises the time period after which a breaker should be examined, a general thumb rule is that breakers should be tested every 6 months to avoid any breakdowns. This is where most almost everybody falls a bit short. If a breaker is tested and a fault is found, it should not be neglected and be rectified immediately. One should not put off the task of replacing damaged parts. You never know when your circuit might short out and be the cause of harm for your equipment. In a recent blog post, we discussed the reasons why you should keep your machinery up to date. There are many important benefits to make sure your machinery is in its best condition, but none other than saving time and money down the road. It’s impossible to consistently run any machine and not encounter an issue sooner or later. 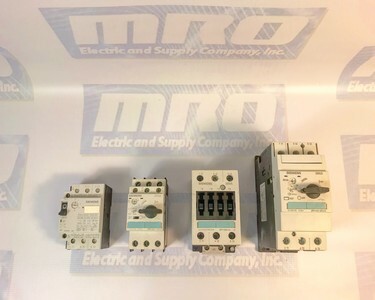 For any inquiries on Siemens Breaker units or anything else, call us toll-free at (800)691-8511 or contact by email at sales@mroelectric.com. Human Machine Interfaces, or HMI’s, are used extensively throughout the world to control and monitor automated machinery. These devices provide touchpad and visual interaction to control manufacturing processes and perform daily tasks. One of the most recognized HMI devices is the Automated Teller Machine (ATM). These ATM devices intuitively interface with users through a keypad and monitor to readily transact bank deposits and dispense cash withdrawals. They provide reliable 24-hour access to our daily banking needs. High Energy Consumption – The CRT technology is not considered energy efficient. 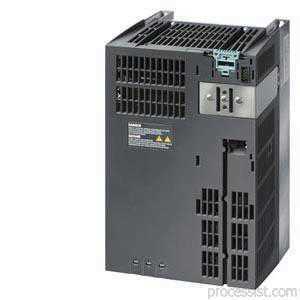 It requires more power to operate than the newer LCD technology. CRT screens consume 3 – 4 times the energy when compared to the LCD screens. Expensive to maintain – CRT repairs are becoming more specialized and expensive as the workforce transitions to the newer technologies. Obsolete Components – CRT technology is outdated and beyond its life cycle. Components required to support repair are becoming obsolete and expensive if available. Avoid costly new operator interface packages – MRO upgrades to LCD technology maintain the interface packages with your existing equipment (frames, communication connections, power sources, etc.). Updated HMI’s from MRO are plug-n-play. Better Reliability – Heat generated by the CRT technology often shortens the life of the electrical circuit components. CRT monitors tend to have a life of 18,000 to 20,000 hours. LCD monitors provide more than 100,000 hours life. Clarity of Picture, Crisp Image – LCD’s make the screen burn often associated with CRT’s a thing of the past. LCD image display is much clearer for the operator and will not fade. 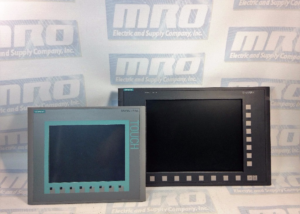 MRO provides an HMI service to update your old CRT displays to LCD technology and new keypads. This approach is a low-cost upgrade to superior technology with no risks. Visit our repair page, call us, or email us for an instant quote on fixing, swapping, or purchasing your new HMI device. The Siemens SINAMICS DME20 DRIVE-CLiQ Hub Module is used to implement a star-shaped topology of a DRIVE‑CLiQ line. Two DME20 DRIVE‑CLiQ Hub Modules can be connected in series. Signals from more than one encoder can be collected with one DRIVE-CLiQ Hub Module and forwarded to the Control Unit through a single DRIVE-CLiQ cable. The Siemens SINAMICS DME20 is used to connect direct measuring systems for the feed axes and expansion axes of the S120 Combi. The SINAMICS DME20 uses the Siemens STARTER software to parameterize and commision drive units. The STARTER commissioning tool can be used for commissioning, testing through a control panel, drive optimization, diagnosing drives, and setting up and running built in safety functions. The tool offers support for various operating wizards, running trace functions to optimize drive controllers, creating and copying data records, loading projects from the programming device to the target device(and vice-versa), along with so much more. Does your Siemens SINAMICS DME20 hub module need to be serviced? As with all of our services, our repairs come with a 12 month guarantee. Our repair service is based on doing the right job, and getting your part back to you as soon as possible. Every part we refurbish is tested to make sure they work the way they are supposed to. Our factory-trained technicians have many years working with Siemens products. Minimize your future downtime today by contacting MRO Electric and Supply right now. For a free repair quote on DME20 hub modules, please email sales@mroelectric.com or call 800-691-8511. For more information on our Siemens repair capabilities, you can visit our Siemens Repair page. The drive units are equipped with maintenance functions that tries to prevent faults by fixing them before they happen. The drive will send signals when it knows that a part will need to be fixed or replaced. With a high degree of flexibility when it comes to connections and mounting, Siemens GM150 and SM150 systems have very user friendly operator panels for the easiest operator control and visualization. Reliability is key in any automated system. Does your Siemens SINAMICS GM150 module need to be serviced? As with all of our services, our repairs come with a 12 month guarantee. Our repair service is based on doing the right job, and getting your part back to you as soon as possible. Every part we refurbish is tested to make sure they work the way they are supposed to. Our factory-trained technicians have many years working with Siemens products. Minimize your future downtime today by contacting MRO Electric and Supply right now. For a free repair quote on GM150 modules, please email sales@mroelectric.com or call 800-691-8511. For more information on our Siemens repair capabilities, you can visit our Siemens Repair page. Electronically coordinated single-motor drives work in unison to perform your all of your drive needs. In multi-axis drives, the individual drives are controlled from a higher-level control system in a way to achieve the desired coordinated movement. A centralized Siemens SINAMICS Control Unit has control over the drives for all connected axes and also establishes the links between the drives and/or axes. Since all required data is stored in the central Control Unit, it does not need to be transferred. The CU310-2 is used in conjunction with power modules and single-motor drives whereas the CU320-2 is used with all motor modules or line modules for both single and multi-motor drives. All of these control units are based on an object-oriented SINAMICS software called SIMOTION. The firmware included contains all common control modes and can be scaled to meet almost all automation requirements. This firmware will contain instructions for infeed controls for main infeeds, and all vector an servo controls. Does your Siemens SINAMICS CU305, CU310-2, or CU320-2 control unit module need to be serviced? As with all of our services, our repairs come with a 12 month guarantee. Our repair service is based on doing the right job, and getting your part back to you as soon as possible. Every part we refurbish is tested to make sure they work the way they are supposed to. Our factory-trained technicians have many years working with Siemens products. Minimize your future downtime today by contacting MRO Electric and Supply right now. For a free repair quote on CU305, CU310-2, and CU320-2 modules, please email sales@mroelectric.com or call 800-691-8511. For more information on our Siemens repair capabilities, you can visit our Siemens Repair page. The encoder system is connected to the SINAMICS S120 via DRIVE-CLiQ. Motors with DRIVE-CLiQ interfaces are designed for this purpose. These motors simplify commissioning and diagnostics because the motor and encoder type are identified automatically. 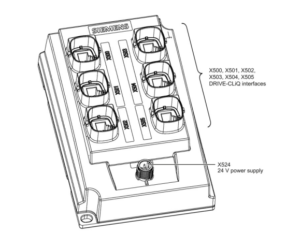 The Sensor Modules(SME20, SME25, SME120, and SME125) are only to be used with machines and may ONLY be connected to the DRIVE-CLiQ interfaces of proprietary components. Direct encoder systems outside the cabinet can be connected to the Sensor Modules External. The SMEs evaluate these encoder systems and convert the calculated values to DRIVE-CLiQ. No motor or encoder data is stored in the Siemens SMEs. The Sensor Modules External provides the encoder power supply. The power supply for the SME is provided from the connected DRIVE-CLiQ cable. This should be taken into consideration when selecting the DRIVE-CLiQ cable. SMEs have a higher degree of protection(IP67) which means it is suitable to be installed on the outside of the cabinet. Below is a chart that shows the connectable encoder systems between the SMC and SME modules. Does your Siemens SINAMICS S120 series encoding module need to be serviced? As with all of our services, our repairs come with a 12 month guarantee. Our repair service is based on doing the right job, and getting your part back to you as soon as possible. Every part we refurbish is tested to make sure they work the way they are supposed to. Our factory-trained technicians have many years working with Siemens products. Minimize your future downtime today by contacting MRO Electric and Supply right now. For a free repair quote on SME20, SME25, SME120, and SME125 modules, please email sales@mroelectric.com or call 800-691-8511. For more information on our Siemens repair capabilities, you can visit our Siemens Repair page. The Siemens SINAMICS G120 inverter has been designed for the accurate and efficient control of the speed and torque for three-phase motors. 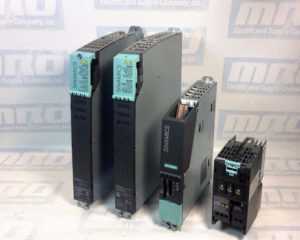 The Siemens SINAMICS G120 system comprises two basic modules, the Control Unit (CU) and the Power Module (PM). PM230 Power Modules, are focused on the HVAC industry sector especially for pump and fan applications. The Power Modules are available with class-A filter or unfiltered in a rated power range from 0.37 kW to 90 kW and a line voltage range from 3 AC 380 V to 480 V. The PM240 Power Module comes with resistor braking and dc braking functions, and a supply voltage of 3 AC 400 V. The PM250 Power Module includes the regenerative braking function, and a supply voltage 3 AC 400 V. For the power modules, induction motors are permissible in the range from 25% to 150% of the inverter power without any restrictions. Wiring diagrams, specification datasheets, and user manuals are available on the MRO Electric and Supply website. Does your G120 Series SINAMICS power supply module need to be serviced? As with all of our services, our repairs come with a 12 month guarantee. Our repair service is based on doing the right job, and getting your part back to you as soon as possible. Every part we refurbish is tested to make sure they work the way they are supposed to. Our factory-trained technicians have many years working with Siemens products. Minimize your future downtime today by contacting MRO Electric and Supply right now. For a free repair quote on PM230, PM240, PM250 modules, please email sales@mroelectric.com or call 800-691-8511. For more information on our Siemens repair capabilities, you can visit our Siemens Repair page. 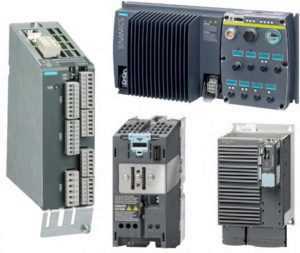 Siemens SINAMICS SMC10, SMC20, and SMC30 drives include high-performance single drives and coordinated drives (multiple-axis applications) with vector or servo functionalities that allow for implementation of truly customized high performance drive solutions for the ultimate in flexibility and increased productivity. In addition to an innovative system architecture and digital communication options, these drives come in a variety of designs and cooling types, each delivering performance from 0.16 to 6,000 HP, and feature efficient engineering and quick commissioning resulting from innovative tools and simple wiring. The SINAMICS series is built to be as streamlined with your automation operations as possible. Different Siemens SINAMICS S120 versions can be combined as required through the DRIVE-CLiQ interface. A few of the popular modules for the SINAMICS S120 series of drives are the SMC Sensor Modules. The cabinet-mounted sensor module is necessary to evaluate the encoder signals of motors without a DRIVE-CLiQ interface. Has your S120 Series SINAMICS module failed? As with all of our services, our repairs come with a 12 month guarantee. Our repair service is based on doing the right job, and getting your part back to you as soon as possible. Every part we refurbish is tested to make sure they work the way they are supposed to. Our factory-trained technicians have many years working with Siemens products. For a free repair quote on SMC10, SMC20, SMC30 modules, please email sales@mroelectric.com or call 800-691-8511. For more information on our Siemens repair capabilities, you can visit our Siemens Repair page. 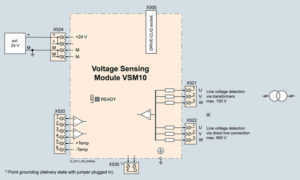 The Voltage Sensing Module VSM10 is integrated in chassis format AIMs but may also be used to improve booksize ALMs compensation for fluctuations in the supply voltage. An Active Interface Module (AIM) is essential for the operation of an ALM. The AIM contains a reactor and filter to ensure compliance with category C3 (EN 61800-3) EMC regulations. An additional EMC filter is available for booksize modules to restrict emissions to within limits set by category C2(EN 61800-3) EMC regulations – however, a TN supply is required. The VSM10 provides a feed forward control signal of the actual supply voltage rather than requiring the ALM to detect and then react to any fluctuations in the DC bus. It is used to operate a permanent-magnet synchronous machine without encoder with the requirement for switching to a machine which is already running (flying restart function). Has your VSM10 module failed? As with all of our services, our repairs come with a 12 month guarantee. Our repair service is based on doing the right job, and getting your part back to you as soon as possible. Every part we refurbish is tested to make sure they work the way they are supposed to. Our factory-trained technicians have many years working with Siemens products. For a free VSM10 repair quote, please email sales@mroelectric.com or call 800-691-8511. For more information on our Siemens repair capabilities, you can visit our Siemens Repair page. Each SINAMICS G120 inverter comprises a Control Unit and Power Module. In the SINAMICS G120 range, the Control Units can be combined with any power module. The Control Unit is able to monitor and control the power supply module. Communication is possible between both local and centralized control modules as well as other monitoring devices. Has your G120 Series SINAMICS module failed? As with all of our services, our repairs come with a 12 month guarantee. Our repair service is based on doing the right job, and getting your part back to you as soon as possible. Every part we refurbish is tested to make sure they work the way they are supposed to. Our factory-trained technicians have many years working with Siemens products. For a free repair quote and CU230, CU240 and CU250 drives, please email sales@mroelectric.com or call 800-691-8511. For more information on our Siemens repair capabilities, you can visit our Siemens Repair page.